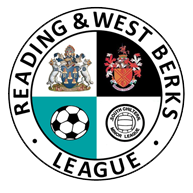 The Reading and West Berks League (RWBL) was founded in 2012 following a number of consultations between the Berks and Bucks FA, the South Chiltern Minor League (SCML) and local clubs in both Reading and West Berkshire. In general, it was agreed that West Berkshire in particular was under served by local leagues based in the Berks and Bucks County. At the same time the FA was rolling out its vision of a Youth Development Review to address and introduce a new vision of Player Pathways. Other findings of the Consultations were that there was a need to re-introduce a Home and Away format on a Sunday so that Clubs could utilise their own pitch facilities to help lower the costs of running development football for the youngest age groups. As a Charter Standard League the RWBL is open to all clubs within a 15 mile boundary of Reading or a 15 mile boundary of Newbury. Clubs that want to register should either have already attained Charter Standard Status or be planning to attain this status within one year. Why should my club / team join the RWBL? The League runs U7s through to U12 on a Sunday. Provide Futsal for the U7s to U12s in the January/February period to overcome bad weather and keep the players playing.